“You know what’s cooler then winning a Nobel Prize,” Sean Parker is unlikely to have said. “Winning a Nobel Prize and an Oscar.” Few people are lucky enough to receive a Nobel Prize, but the list of Laureates who record the highest achievements outside of their field is considerably smaller. So, for any trivia buffs out there, here’s a list of Laureates and their endeavours that make them members of an even more exclusive club. The Irish dramatist George Bernard Shaw is the only Nobel Laureate to have received an Academy Award. (I know what many of you are thinking, but bear with me…). Shaw followed his Literature Prize in 1929 with the Academy Award for Best Adapted Screenplay in 1938 for Pygmalion, which starred Leslie Howard and Wendy Hiller, and was adapted from Shaw’s 1913 play of the same name. So what about Al Gore, I hear you cry? Well, the former Vice-President of the United States of America and 2007 Peace Laureate may have accepted the Academy Award for Best Documentary (feature) for “An Inconvenient Truth”; however, he didn’t actually win the coveted prize. The winner of the Academy Award for the film was in fact the producer and director Davis Guggenheim. Again, contrary to some opinion, there’s only one Nobel Laureate who has won an Olympic medal. Step up to the podium Philip Noel-Baker, British diplomat, 1959 Peace Prize winner, and who as a middle-distance runner won a silver medal in the 1,500 metres at the 1920 Olympic Games in Antwerp. Some sources claim that the Danish physicist Niels Bohr was part of the Danish soccer team that won a silver medal in the 1908 summer Olympics. But that honour went to his younger brother Harald. Niels may have played in goal for the same Danish club side as his brother, but Harald was the only Bohr selected to play for the silver-medal winning national side. Harald also studied mathematics, and such was the public response to the team’s achievement in the 1908 Olympics, it’s claimed that when he defended his doctoral thesis a few years later, the audience contained more football fans than mathematicians. I wonder what they chanted during his defence. Nowadays, Charles Gates Dawes is perhaps remembered more for his contribution to pop music than his 1925 Nobel Peace Prize. Dawes was a self-taught pianist and composer, and lyrics were added to his 1912 composition, “Melody in A Major”, to become a song called “It’s All In The Game”, which became a number 1 hit in the US and UK for Tommy Edwards in 1958. A host of artists have covered this song since then, including Nat “King” Cole, Elton John and Keith Jarrett. For the record, Dawes received his Peace Prize for his League of Nations report on German reparation payments after World War I. Like Al Gore, Dawes also held the position of Vice-President, though Dawes’ term is generally considered to be one of the worst ever. “Hell’n Maria” Dawes (as he was known, this being his favourite expression) wasn’t Calvin “Silent Cal” Coolidge’s first choice as running-mate, they were barely on speaking terms with each other, and Dawes didn’t attend cabinet meetings. Even his Senate biography says witheringly: “[H]is tenure was not a satisfying or productive one, nor did it stand as a model for others to follow. There’s only one first-class cricketer to win a Nobel Prize, and horror upon horrors, he isn’t British. 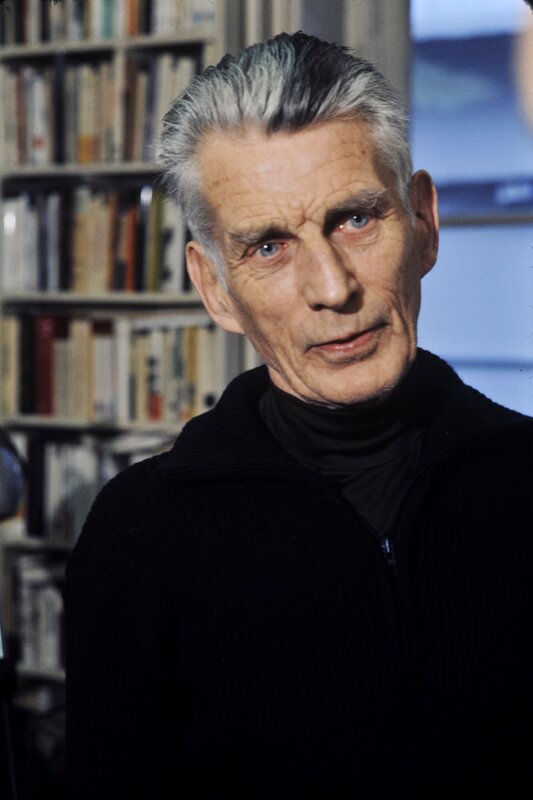 This honour goes to the Irish-born playwright and novelist Samuel Beckett, best known for the absurdist drama Waiting for Godot. The 1969 Literature Laureate played two first-class games for Dublin University against Northamptonshire in 1925 and 1926. Described in the cricketing bible Wisden as “a left-hand opening batsman, possessing what he himself called a gritty defence, and a useful left-arm medium-pace bowler”, Becket never lost his affection for cricket. When George Smoot received the 2006 Nobel Prize in Physics for years of work that recorded the faint echoes of the birth of the universe, he received one half of the prize amount, around $800,000. Three years later, he won a bigger cash prize on the US TV quiz “Are You Smarter Than a 5th Grader?” Appearing as the final contestant on the last episode of the game show, which posed grade-school level questions to adults, he reached the final question: “What U.S. state is home to Acadia National Park?” Smoot gave the correct answer “Maine”, and in doing so became the second person (and the first man) to win the $1million top prize. This entry was posted in Trivia and tagged Al Gore, Charles Gates Dawes, George Bernard Shaw, literature, Niels Bohr, Nobel Prizes, peace, Philip Noel-Baker, Physics, Samuel Beckett by simonfrantz. Bookmark the permalink.